Situated on a scenic cliff on Kaua'i's north shore lies the Westin Princeville Ocean Resort Villas. Take in the views of lush mountain peaks and the sparkling Pacific Ocean with a low-cost timeshare resale or rental from SellMyTimeshareNow.com. We can show you how to get affordable accommodations at this favorite Westin resort without sacrificing luxury. The Westin Princeville encapsulates the beauty and elegance of Hawaii through their beautiful resort grounds and fabulous amenities. From delectable island cuisine, multiple tropical pools, and the cliffside views on Anini Beach, you will find yourself in paradise. The Westin Princeville is ideal for both families and couples looking for a romantic honeymoon. Kids will love daily activities with the Westin Kids Club, while the adults can enjoy a relaxing outdoor massage overlooking the Pacific Ocean. There's something for everyone to enjoy. 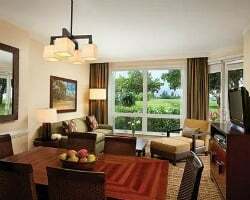 A Westin Princeville timeshare is available in various sizes including studio, one-, and two-bedroom villas. Each unit offers a spacious and modern layout while providing premium amenities to enhance your stay. Take in views of the ocean or the nearby golf course while relaxing on your private balcony. Itching to enjoy this rich Hawaii retreat? Start planning today by filling out the form on the right or calling us at 1 877-815-4227. Purchasing on the resale market is a fabulous way to own a Westin Princeville timeshare for way less than the retail price. When you buy from the resort, you are paying all sorts of extra fees and commissions, but when you buy from an owner on the secondary market, you are paying for the true value of the timeshare. This can save you thousands! When browsing our inventory, you can choose a deeded fixed or floating week with annual or biennial usage. Westin Princeville timeshares are available in the Platinum Plus season, as this is a year-round desirable vacation destination. 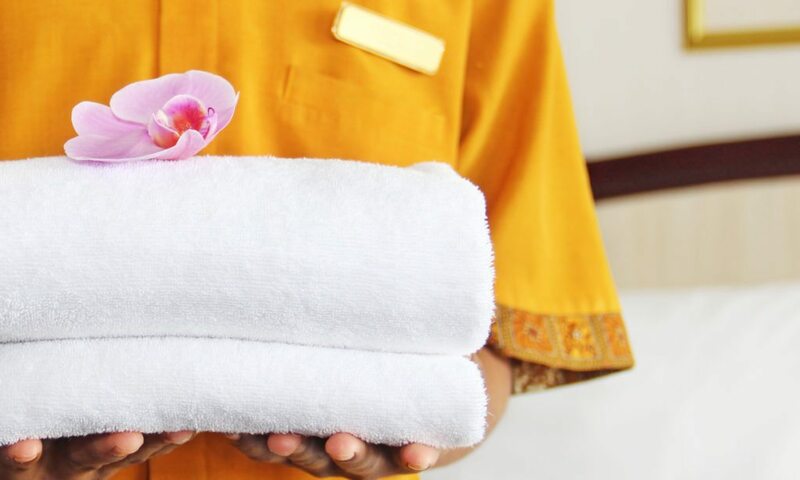 Since Westin is a Starwood Vacation Ownership brand, a handful of Westin properties (called Mandatory Resorts) are able to enjoy access to StarOptions to internally exchange. Since Westin Princeville is not a Starwood mandatory resort, there are some resale restrictions that come with this ownership. However, even though Westin Princeville is not a part of the StarOptions program, you can still easily exchange your timeshare to travel worldwide using an external exchange company. Even though you cannot internally exchange with a Westin Princeville timeshare, the resort is fortunate enough to be affiliated with Interval International, a global external exchange company that has thousands of top-rated affiliated resorts and brands within its network. 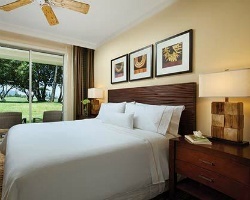 As an Interval International Elite Resort, Westin Princeville Ocean Resort Villas has a high trading power. With the purchase of an affordable annual II membership, you can exchange your week at Westin Princeville for a vacation virtually anywhere else in the world. The Westin Princeville offers a plethora of fantastic amenities for owners and guests to enjoy right on site, including surfing lessons, the WestinWORKOUT fitness studio, golf at Princeville Makai Golf Club, and an ocean view plunge pool. The beautiful island of Kauai boasts so much to be discovered. Take a hike by Wailua Falls, surf on the Napali coast, go zip lining, or visit Na Aina Kai Botanical Gardens. You'll love the beauty and culture that surrounds this incredible destination and will certainly find a new adventure with every trip. 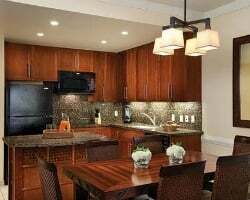 Already Own at Westin Princeville Ocean Resort Villas?